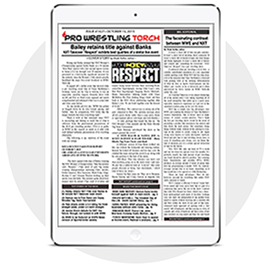 Access to our 28 years of archives including over 1,400 Pro Wrestling Torch Newsletters dating back to the late 1980s, thousands of hours of VIP audio dating back to the early 1990s. 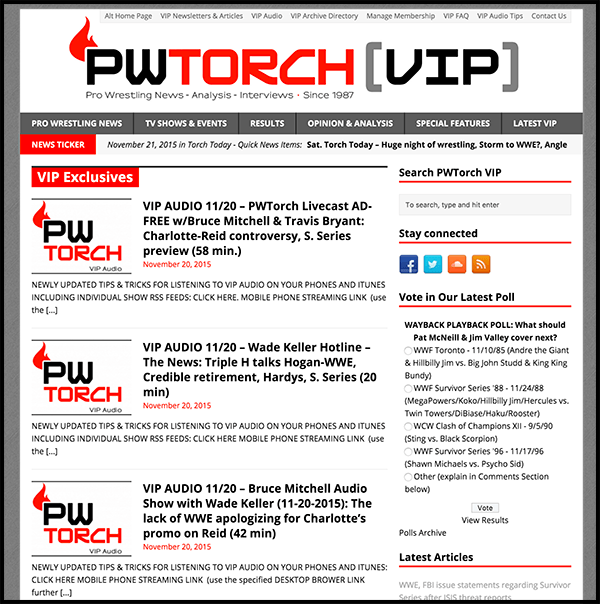 Around 100 VIP audio shows every month, including the every-day Wade Keller Hotline covering the news of the day and answering VIP member questions, Post-PPV Roundtables, long-form specialty audio shows with the top experienced staff in pro wrestling. 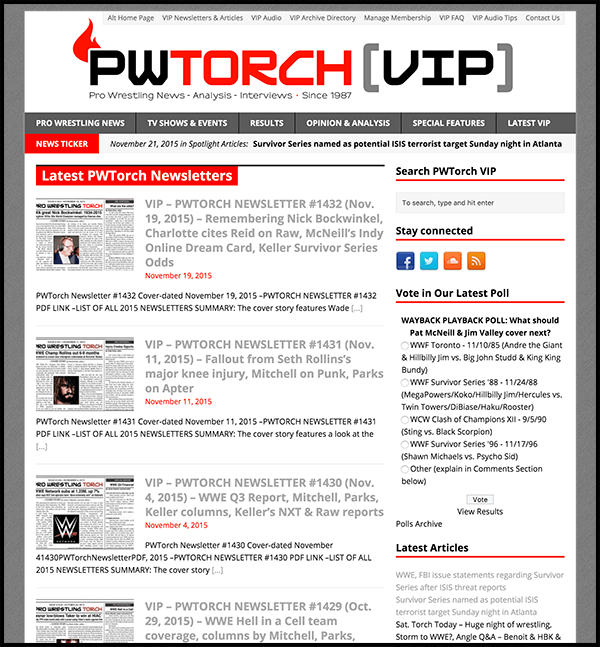 A new PWTorch Newsletter every week in all-text and PDF formats covering the news of the week along with exclusive columns and features. Access to all new daily VIP content on our mobile-friendly ad-free VIP website, including the ability to stream our VIP right within the mobile site itself. 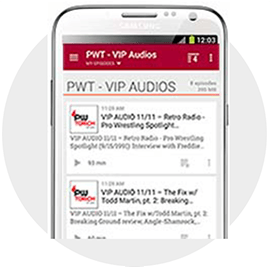 Access to all new VIP audio shows via popular podcast apps on iPhone and Android along with iTunes, with recommended apps with instructions for those new to listening to premium podcasts on your phone.